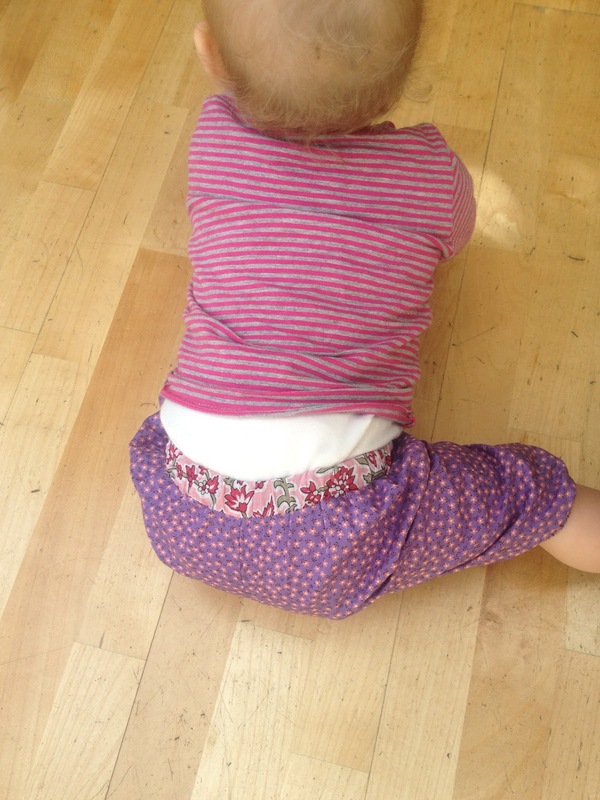 Here we go again with these baby trousers. 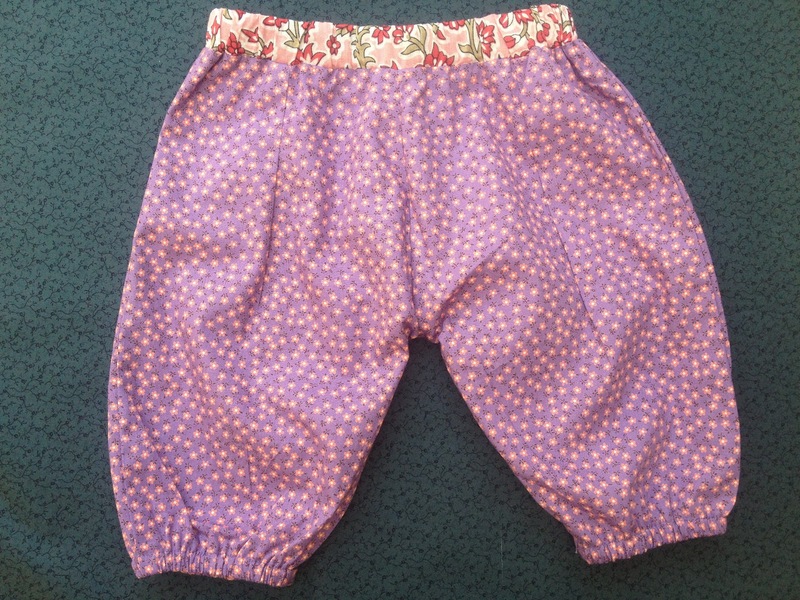 For the sake of accuracy, I should call them cropped or capri-trousers, because this is what they turned out to be. Front pleated cropped-trousers. I went for a contrasting belt. I quite like the mix of the two floral prints. The fabric comes from a shop on Goldhawk road in London. And the elastic at the bottom allows you (i.e. 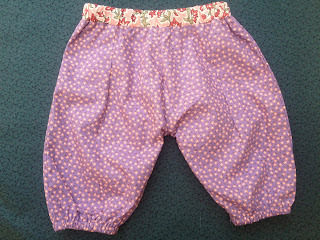 the baby) to wear them at different length. I think they will be the first in a series for my baby's summer wardrobe!